The M104 E28 2.8-liter engine is the smallest engine of the M104 series. It was designed on the basis of the 3.2-liter engine. This engine has its crankshaft and cylinder block. The stroke is 73.5 mm (2.3-liter version has 89.0 mm stroke). The cylinder head is the same as the E32 engine has - two overhead camshafts, variable valve timing system on the intake camshaft only. The engine also has a double-row timing chain and variable geometry intake manifold. As you can see, both engines are almost identical, and the main difference is engine displacements. The M104 2.8-liter engine was the next engine after the M103 E26. In 1998 it was moved out from the production by V6 M112 E28 engine. 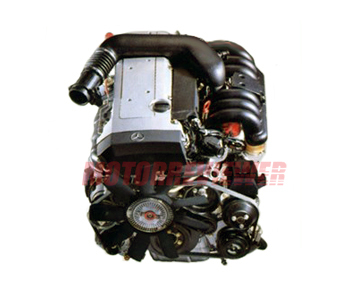 All issues and problems of the 2.8l engine are also the same as for the M104 3.2l engine. You can read about them here.